Become a Friend of The Exiles Consider supporting us as we expand our literary prizes & author compensation. 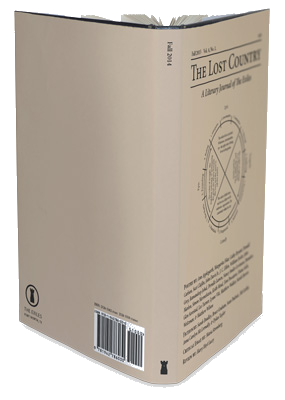 This work was published in the Fall 2015 issue of The Lost Country. You may purchase a copy of this issue from us or, if you prefer, from Amazon. Enter your email to receive newsletters from The Exiles that discuss Literature and feature works that we have published. Like what you read in this tweet? Why not Retweet it?